Is Your Self Image Keeping Up with Your Evolution? A client this week brought great insight to our conversation when she got quiet after a question and said, “I think I’m still seeing myself as a stay-at-home Mom, even though the last of my kids is away at school. My image as a professional hasn’t kicked in.” This was a huge awareness for her and led to a cascade of other realizations about how our roles change all the time, and there can be lag time before we actually own the growth, the changes in our own self awareness. How are you stronger, more capable than you were a year ago? How about five years ago? How have you grown in self awareness and emotional intelligence in that year or five years? We are expanding, growing, maturing in every conversation and event we are part of. There is no outer limit to how much we can learn, yet if we don’t pause and reflect on those changes and celebrate our expansion, it is really easy to blow right past them without truly owning the current role, the current power and status we embody. We get so busy with outer-directed results that are tangible—what is visible to the world around us—that we overlook the time and thought required to allow our self image to catch up. We see it now in the White House, with a president who is still in the mindset of a business owner, trying to run the country the way he ran his businesses, and they are not at all the same roles. A good metaphor presented itself to me today for how this looks: on a public walking trail, I noticed a pair of training wheels glinting under a bench and wondered who they belonged to, whether they had decided they didn’t need them or put them there momentarily. On my way back by the bench, I saw a wise young father re-attaching the training wheels to his young daughter’s bike—she looked about four years old. Not close enough to hear the dialogue, I imagined he had invited her to try riding without them, from the bench to the bridge, which is the turnaround point for many of us – probably about the length of a football field. This time, she elected to put them back on for the rest of the trail, but one day, she won’t feel the need for them. 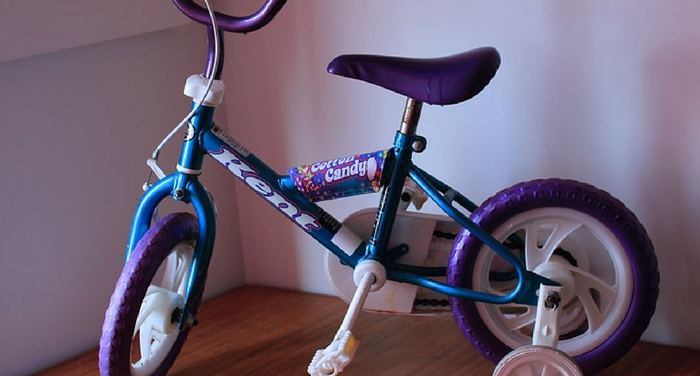 How many of us keep our version of training wheels on way past the time we require them? As a coach and consultant, I hear a lot about this from my younger clients, who often claim they feel like an imposter when they land a role and responsibilities they don’t quite feel equal to in their own self perception. I remember what that feels like, having inherited a lot of responsibility in my early twenties when a regional vice president left our office to pursue a better opportunity and I found myself in his role. When I began teaching as an adjunct professor, our first assembly addressed that common concern: “Is is as obvious to everyone else as it is to me that I don’t have mastery of my subject area?” We were all immensely relieved to learn that everyone in the room felt that way, as we laughed uncomfortably in unison. Periodically, it is immensely important to take stock internally, in the privacy of our own minds and recognize how we have grown, and what is called for now. I’ve learned that we experience the most chaos and fear when we don’t pay attention to that inner compass. Find a quiet half hour in the next week or so to ask yourself this question: What is the role I am primed for now, given my sense of purpose, my natural strengths, and what is deeply meaningful to me? Our world needs people who are crystal clear about who they are and what they are here to give. Now is the time for each of us to own our brilliance and step up and serve a bigger why. Are you ready? You may be more ready than you realize.